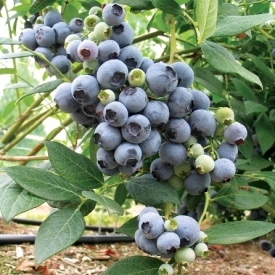 Blueberries top the charts of fruit commodities with the highest level of growth from one year to the next. Breeding rights enforcement in Europe was the focus at this seminar. Dave Brazelton just announced that Peter Boches will lead Fall Creek’s Breeding Program. Real Simple puts blueberries in their recent Top 30 Healthiest Foods list. The Florida blueberry market is aided by efforts of their blueberry association. You think there’s blueberries in that packaged food you just bought? Better read the label. Our Gardener’s Guide To Blueberries is now available in e-reader formats.